The discovery of horsemeat in products sold as beef has shocked many British consumers into buying less meat, a survey showed on Monday. By Clare Hutchison and Alice Baghdjian. The furore, which erupted in Ireland last month and then spread quickly across Europe, has led to ready meals being pulled from supermarket shelves and damaged people’s confidence in the food on their plate. It also raised concerns over food labelling and the complex supply chain across the European Union, putting pressure on governments to explain lapses in quality control. A fifth of adults said they had started buying less meat after traces of horse DNA were found in some products, according to the poll conducted by Consumer Intelligence research company. “Our findings show that this scandal has really hit consumers hard, be it through having to change their shopping habits or altering the fundamentals of their diet,” David Black, a spokesman for Consumer Intelligence, said. The online poll, conducted on Feb. 14-15, questioned more than 2,200 adults on their spending habits following the horsemeat scandal. It gave no specific figures on how much meat people were buying, focusing only on broader trends. More than 65 percent of respondents said they trusted food labels less as a result. “(Brands) will have to put in place really stringent ways of checking that what’s being delivered and what’s on the label is indeed what’s in there,” Black said. In the month since horsemeat was first identified in Irish beefburgers, no one is yet reported to have fallen ill from eating horse but many supermarkets and fast food chains are already struggling to save their reputations. Governments across Europe have stressed that horsemeat poses little or no health risk, although some carcasses have been found tainted with a painkiller given to racehorses but banned for human consumption. Environment secretary Owen Paterson, who met British retailers earlier in the day for talks on how to restore consumer confidence, said Britain was closely cooperating with European countries to investigate what happened. British retailers now expect the vast majority of tests on processed beef products to be completed by Feb. 22, according to the British Retail Consortium. 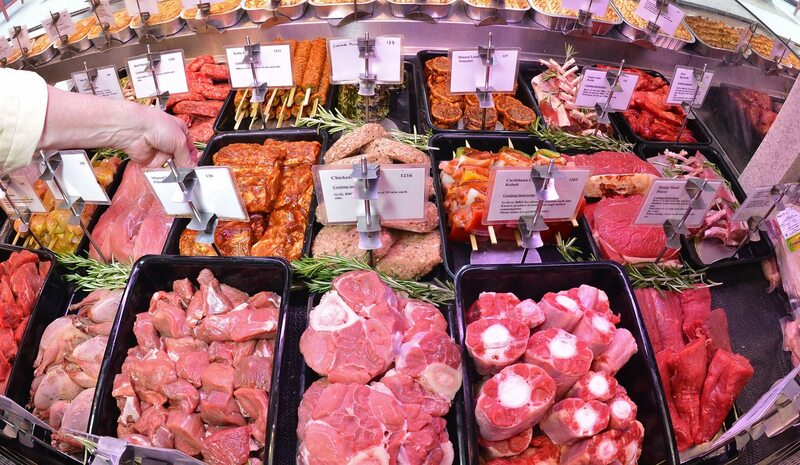 More than 60 percent of adults surveyed said they would now buy meat from their local butchers, the poll said, while a quarter of adults said they would now buy more joints, chops or steaks instead of processed meat. Michael Suleyman, who owns a family-run butchers’ shop in Brixton, London, said more customers appeared concerned although for now there had not been any difference in sales figures. But with inflation running above central bank targets and an uncertain job market, the spending power of British consumers has been eroded in recent years and, for some, buying more expensive meat is not an option. Nearly a fifth of respondents said they wanted buy less processed meat such as ready-meals, but could not afford to. At a London branch of Britain’s biggest retailer, Tesco , which found horse DNA in some of its own-brand frozen spaghetti bolognese meals last week, consumers were still buying meat products.